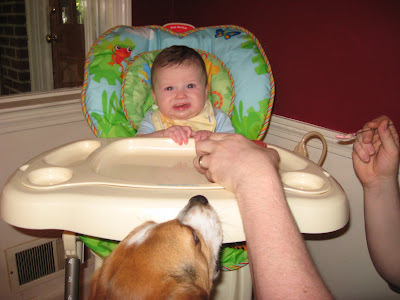 Testing out the new high chair! 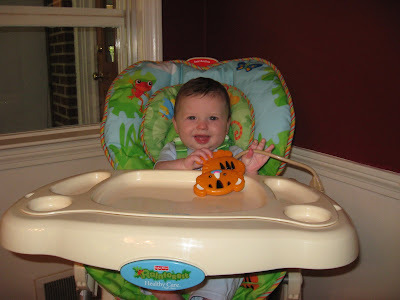 Declan is not a big chicken fan...but he does love mashed bananas and sweet potatoes and squash. As you can see, Chester is always on the lookout for scraps.